SAN ANTONIO -- While it's true that San Antonio golf has really exploded over the last decade, it's not without its classic architecture, even on public golf courses. No. 10 at Brackenridge Park was reportedly one of Ben Crenshaw's favorites when he played junior golf. That combined with some of the more modern gems give the Alamo City a nice variety of looks for the visitors and locals alike. Here, then, are a few courses with plenty of design character. Brackenridge Park Golf Course, the oldest public golf course in Texas, has truly become the gem of public golf in San Antonio. This classic 1915 Tillinghast design was restored a few years ago to perfection, all the way down to the original rectangular greens and flat-bottom bunkers. The difference is that the course now sports Mini-Verde greens. 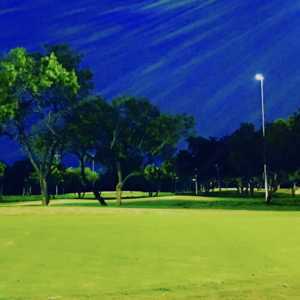 Located just minutes from downtown, Old Brack -- which also houses the Texas Golf Hall of Fame and played host to decades fo the Texas Open -- is a must-play for visitors. Now home of the Champions Tour's AT&T Classic, the only way to describe TPC San Antonio's AT&T Canyons Course might be as Pete Dye-light. This course isn't easy, but it isn't brutally difficult either, especially compared to the AT&T Oaks Course, which is located on the other side of the J.W. Marriott Resort. The signature pot bunkers are there, no doubt, but perhaps Bruce Lietzke's influence as consulting architect softened old Pete up somewhat. The fairways are rather generous, and the greens aren't too difficult. More than anything else, though, the course has plenty of cool shots, whether it's from an elevated tee or to an elevated green. 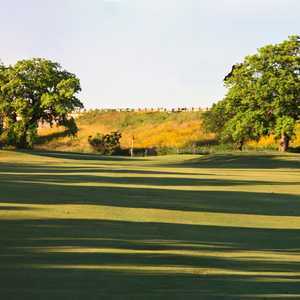 Arthur Hills' courses typically aren't easy, and the 27 holes of the Hyatt Hill Country Resort are no exception. What you will find is a great variety of holes. Or, even more accurately, a great variety between the nines. Each of the nines -- the Lakes, the Creeks and the Oaks –- reflect the feel and terrain of their name. The key to playing this course is to think your way through. Even from the tips, the longest combination is just more than 6,900 yards, so it's not real long, but there is plenty of trouble for the player who hits driver on every hole and isn't super accurate. Press Maxwell did a lot of work in Texas (and Colorado), but Pecan Valley Golf Club is perhaps his best known work. Site of the 1968 PGA Championship won by Julius Boros, Pecan Valley is a 7,010-yard, par-71 parkland course along Salado Creek. It underwent a $5.5 million renovation by Bob Cupp in 1998 and has since hosted numerous qualifiers, local PGA events and the 2001 U.S. Amateur Public Links Championship. Because of its history and reasonable green fees, it's still a favorite among locals and certainly worth a look by visitors. Emil Loeffler and John McGlynn might not be household names, but the pair had a pretty good resume, especially in Pennsylvania. In 1921, the two of them designed Latrobe (Pa.) Country Club, where Arnold Palmer learned to play, and two years later, they did Willow Springs Golf Course in San Antonio. Willow Springs is one of those courses that locals love and out-of-towners don't know much about, but visitors should check it out. It's in pretty good shape these days, has some elevation change and is very challenging, playing to more than 7,200 yards from the tips. The course, which is located 10 minutes east of the River Walk, has been the site of several Texas Opens. Foster has a lot of nice work in the area but none more unique than the Quarry Golf Course, which is located in the northwest part of town near the airport. While the front nine is a conventional, open, almost links-style nine, the back nine was carved out of an old, abandoned rock quarry. The most interesting part of the experience is that every once in a while a wayward shot will hit a rock wall and kick back onto a green or fairway. It's not classic golf, but it sure is fun.